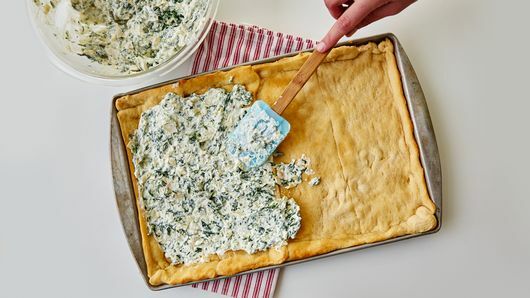 If using crescent rolls: Unroll both cans of dough; separate into 4 long rectangles. Place crosswise in ungreased 15x10x1-inch pan; press over bottom and 1 inch up sides to form crust. Press perforations to seal. 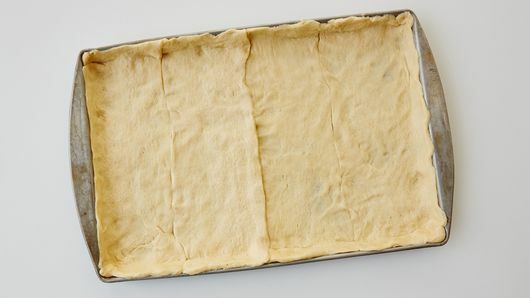 If using dough sheets: Unroll both cans of dough; cut into 4 long rectangles. Place crosswise in ungreased 15x10x1-inch pan; press over bottom and 1 inch up sides to form crust. Meanwhile, in medium bowl, stir remaining ingredients until well blended. 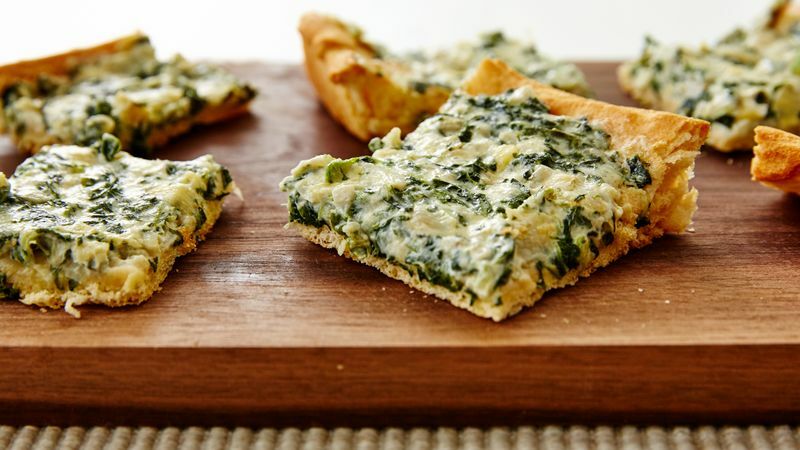 Spread mixture evenly over partially baked crust. Bake 8 to 10 minutes longer or until topping is hot. Cut into 1 1/2-inch squares. Serve warm.